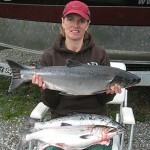 Mindy Benintendi catches her first Salmon on her birthday, 10/06. 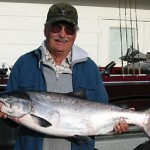 Tom Reagle caught this Rogue River King Chinook weighing in at 39 lbs. 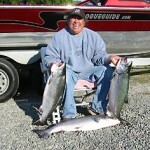 Jack Keone on 09/09/2008 with a limit of Chinook Salmon. 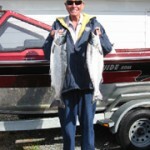 Great day for fishing! 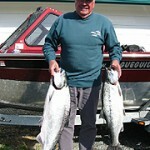 A limit caught. 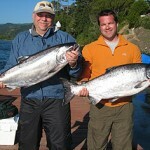 Dan gets a limit of Rogue Chinook salmon on 9/10/08. 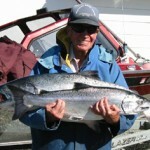 Jack Keown with 32 lb Chinook Salmon on Sept 12. 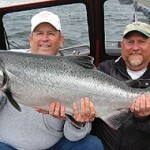 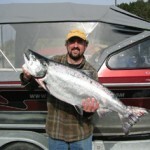 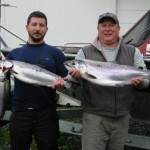 9/23/08 was a great day of fun with Chinook and Coho. 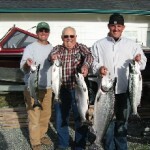 Jerry & Nick with three Rogue Salmon on 10/04/08 . 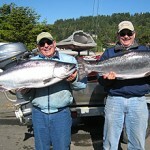 Bruce and Todd with a great catch on the Rogue River on July 22nd. 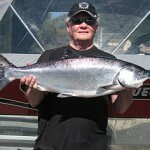 Buzz from Grants Pass with a beautiful Rogue Springer! 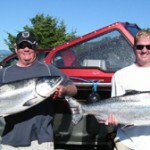 Father & Son with a pair of twin Rogue Chinook Salmon on Sept 5th. 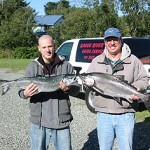 A nice Springer for Mike from Maine on 4/25! 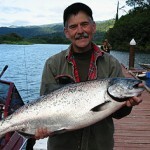 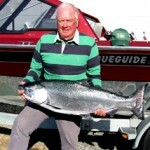 Wes Davis with Rogue wild Chinook on 9 01 2008.